The Miramonte League met Thursday at Bonelli Park in San Dimas for our League Finals, which is our third year of competing on this course after spending previous years at Schabarum Park. 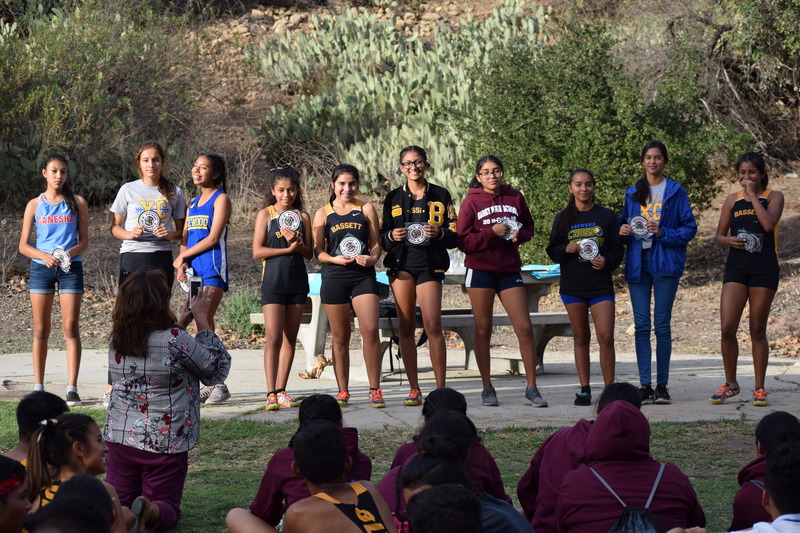 The girls varsity race was highlighted by the top-four finishes of Ana Tecuanhuehue of Bassett (20:40), Carissa Bilecki of Edgewood (21:21), Mitzery Lindoro of Edgewood (21:36), and Brenda Caballero of Garey (21:55). 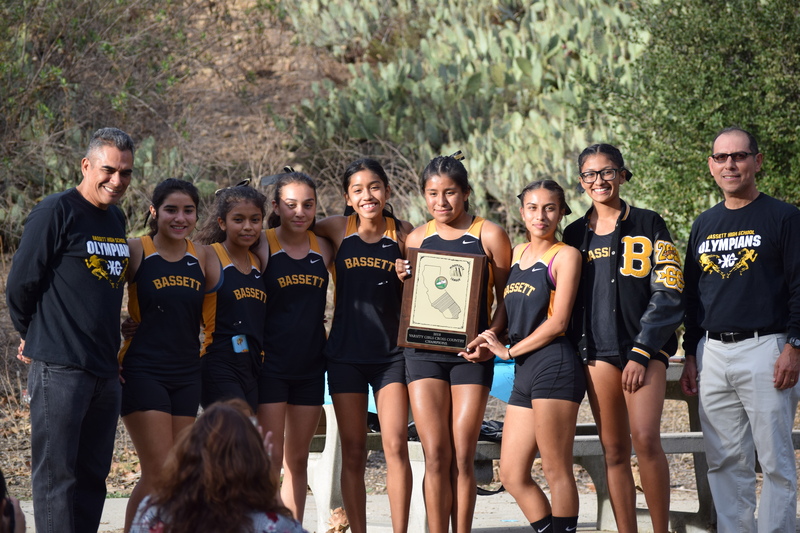 Bassett runners Claudia Gonzalez (22:02), Desiree Alvarado (22:10) Ana Simon (22:33) and Vivian Mendez took spots five, six, seven, and thirteen to score 32 points for the league title, with Edgewood finishing in second with 42 points. Bassett and Edgewood qualified as teams for CIF-SS Prelims, with Caballero of Garey qualifying as an individual. 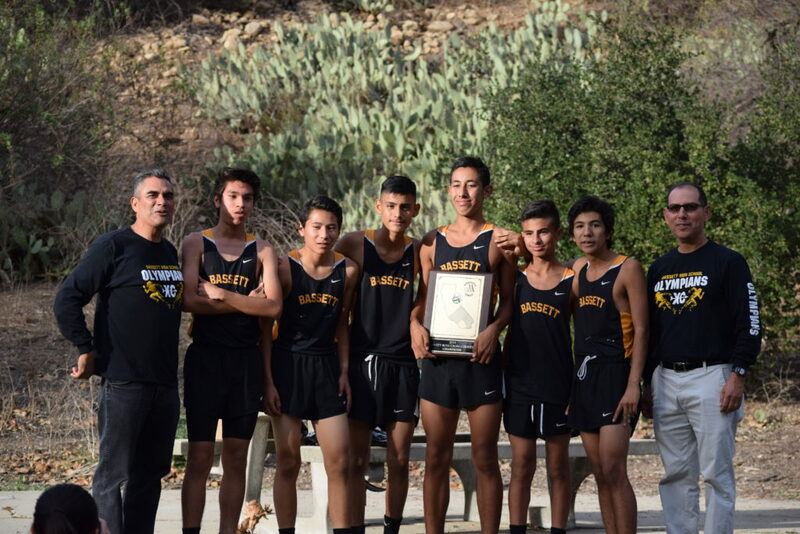 The Bassett boys varsity team continued their Miramonte League success by placing their top five runners in the top twelve spots to score 41 points for the victory. Garey finished in second with 54 points while Edgewood finished in third with 69 points. Nicolas Castillo Davidson of Edgewood claimed the top spot and remained undefeated in league competition in a time of 16:23, with Hector Venegas of Garey throwing in a late surge to nab second place in a time of 16:29. Alexis Castellon-Leon of Bassett was close behind for third (16:30). 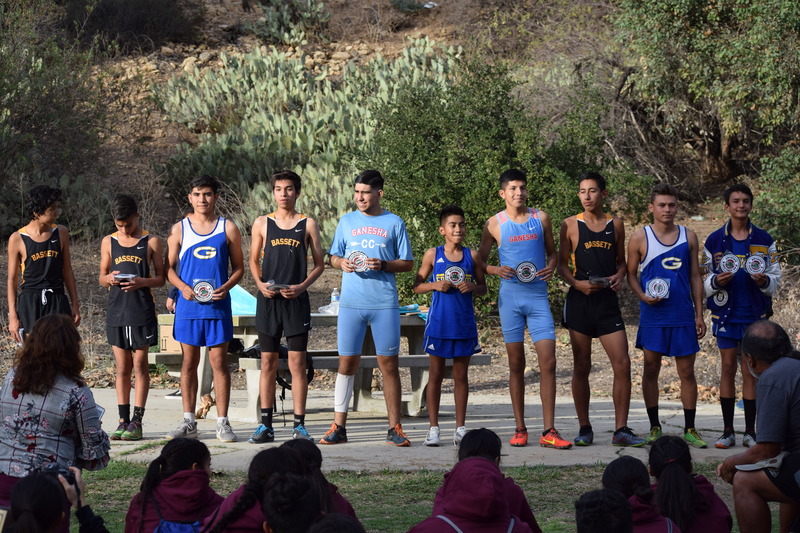 Also finishing in the top six were Daniel Martinez of Ganesha (16:46), Joshua Hernandez of Edgewood (16:51), and Efrain Carrillo of Ganesha (17:15). Bassett and Garey all qualified as teams into CIF-SS Prelims while Castillo Davidson/Hernandez of Edgewood and Martinez/Carrillo of Ganesha qualified as individuals. Tecuanhuehue of Bassett was named the Girls Miramonte League MVP, and Castillo Davidson of Edgewood was named the Boys Miramonte League MVP.